Founder and Academic Director Professor of finance and leadership, the founder of the Center for Leadership, former visiting scholar at Harvard, Berkeley, Melbourne, Glasgow and other universities. He studied at Harvard University where he completed, among other things, a Master Class for Leadership Educators. He also completed a number of management and leadership programs at other schools, such as IESE Business School and HEC Paris. In 2011 he received a Letter of Achievement in recognition of his dedication to leadership development from Harvard Kennedy School Government (HKS). In the past served as: Member of Macroeconomic Council to the Minister of Finance, Advisor to the Governor of the National Bank of Poland, Chief Economic Advisor to the board of WestlB Bank, Director of Bureau of Integration with the Euro Area at the National Bank of Poland, Director of the Institute of Economics of the Polish Academy of Sciences. As one of the very few Poles worked at three central banks: European Central Bank, Austrian National Bank and National Bank of Poland. Served also on expert panel evaluating Greek bail-out program at the European Court of Auditors. In 2016, in a study conducted by “Rzeczpospolita”, he was ranked 1. - as the best candidate for the Monetary Policy Council in Poland. In the same year, he was the official candidate of the opposition for this position. Also in December 2009, in a ranking of the best candidates for the Polish Monetary Policy Council, he was nominated as one of the first six best candidates. Also in 2009, before he was 35, he was appointed professor of economics, one of the youngest in Poland. Professor Wójcik is the author and co-author of a number of academic papers and nine books published in the USA, the UK, Germany, Austria, Estonia and Hungary. His work has been published and quoted in renowned foreign newspapers: The Guardian, Frankfurter Allgemeine Zeitung, Die Zeit, Handelsblatt. He has been regularly publishing in Polish dailies suh as Rzeczpospolita and Gazeta Wyborcza. In a study for 2001–2006, he topped the list of most quoted Polish economists in world academic journals. The SSRN database – the largest global electronic repository of academic papers in social sciences – classifies him in the top 5% of academics in the world. He has received both of the most important prizes awarded to economists in Poland: in 2008, he received Bank Handlowy’s award for his special contribution into the area of finance and economics; and in 2009, the award of the Prime Minister. 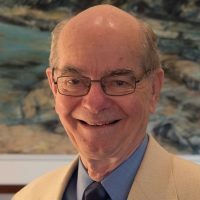 He has been awarded many scholarships, including a Fulbright scholarship (twice), a scholarship of the Polityka Weekly, a scholarship of the Foundation for Polish Science, a scholarship of the Minister of Science and Higher Education, and many others. He is fluent in Polish, English and German, and speaks Spanish and Russian. He is married, has two children, and is a happy person. 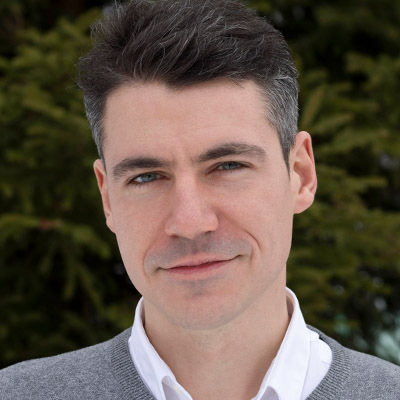 Partner and Academy's Executive Director Maciej Ujejski is the Founding Director of The Flying Mind Foundation and Partner of the Center for Leadership, where he is the Cofounder and Executive Director of the Leadership Academy for Poland. Between 2012-2015 he was coordinating the Youth in Leadership project – a nationwide conference focused on the development of youth leadership and social entrepreneurship. Previously he worked for a mobile software house CocoLab, where he served as a COO and Project Owner. Assistant and Event Coordinator Her role at the Center for Leadership is to make sure all communication flows smoothly and effectively, and that every event goes as plans, leaving a good memory in attendees minds. Before starting at the Center for Leadership, Agnieszka worked her way through a number of internships in Polish public administration, from Ministry of National Defence to Polish Embassy in France. She graduated from the University of Warsaw with a bachelor degree in International Relations, during which she spent a semester at Sciences Po Paris. Currently finishing a master degree in IR (Security and Strategic Studies) as well, at the University of Warsaw. While her academic interests lie mostly in emerging challenges in international security, her interest in leadership and public policy grows with every day spent with CL. Graphic Designer At Center for Leadership his goal is to enhance customers’ experience through attractive, vivid graphics and an engaging interface design. He embraced the challenge as he is competent in Information Architecture, Interaction and Usability Engineering. Last but not least, he executes visual materials for our promotional campaigns on social media and in print. After graduation in 2010 from the Kingston University London, BA with honours in Fine Art, he gained experience working on projects for Intel Corporation, Wind River, Huawei, but also P4 Sp. z o.o. (PLAY), CocoLab.pl and GOCC (WOŚP). 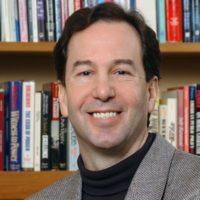 Harvard University Ronald Heifetz founded the Center for Public Leadership and is the King Hussein bin Talal Senior Lecturer in Public Leadership at Harvard Kennedy School. Heifetz speaks extensively and advises heads of governments, businesses, and nonprofit organizations throughout the world. He co-developed the adaptive leadership framework. 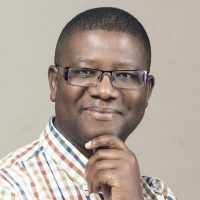 His research focuses on creating a conceptual foundation for the study of leadership, creating teaching, training, and consulting methods for leadership practice, and building the adaptive capacity of organizations and societies. His first book, Leadership without Easy Answers, (1994) is a classic in the field. Read widely as a foundational text, it is one of the 10 most assigned course books at Harvard and Duke Universities. He coauthored the best-selling Leadership on the Line: Staying Alive through the Dangers of Leading with Marty Linsky (2002), which serves as one of the primary go-to book for practitioners across all sectors, and the field book, The Practice of Adaptive Leadership: Tools and Tactics for Changing your Organization and the World, (2009) with Marty Linsky and Alexander Grashow. Heifetz is also well-known for developing transformative methods of leadership education and development. His courses on leadership at Harvard are legendary. Drawing students from throughout Harvard’s graduate schools and neighboring universities, they have consistently won the alumni award for the Kennedy School’s most influential course. His teaching methods are the subject of the book, Leadership Can Be Taught, by Sharon Daloz Parks (Harvard Business Press, 2005). A graduate of Columbia University, Harvard Medical School, and the Kennedy School, Heifetz is a physician and cellist. He trained initially in surgery before deciding to devote himself to the study of leadership in public affairs and business. Heifetz completed his medical training in psychiatry. As a cellist, he was privileged to have studied with the great Russian virtuoso, Gregor Piatigorsky. 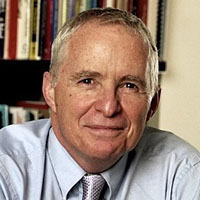 Harvard University Dean Williams is a faculty member at the Harvard Kennedy School of Government, based at the Center for Public Leadership. He is the author of “Leadership for a Fractured World: How to Cross Boundaries, Build Bridges, and Lead Change” and “Real Leadership: Helping People and Organizations Face Their Toughest Challenges”. At Harvard Dr. Williams serves as the director of the popular executive education program Global Change Agents: Leading with Commitment, Creativity and Courage. He also directs the World Leaders Interview Project. He has done a significant amount of advising to governments and corporations around the world. Most recently he served as Chief Adviser to the President of Madagascar, helping the country launch a rapid development process. He has also worked extensively with the governments of Nigeria, East Timor, and Brunei. He has also served as a consultant with the Singapore government’s National Productivity Board, and is currently the director of the innovative Social Leadership Singapore program that brings government, business, and NGOs together to address the complex and demanding social challenges facing the nation. Dr. Williams was born and raised in Australia. He has lived with tribal groups in the jungles of Borneo, did his graduate degrees at Harvard, studied leadership development processes in Japan, and spoken on leadership and change all over the world. Harvard University Raised in Northern Ireland, Hugh O’Doherty teaches leadership at Harvard’s John F. Kennedy School of Government and is a Senior Associate with Cambridge Leadership Associates. Hugh has taught leadership and conflict resolution at the Jepson School of Leadership Studies, the McGregor Burns Academy of Leadership, University of Maryland, where he directed the Ireland-US Public Leadership Program for “emerging” leaders from all the political parties in Ireland. In Northern Ireland, he directed the Inter-Group Relations Project, an initiative bringing together political and community leaders in Ireland to establish protocols for political dialogue. 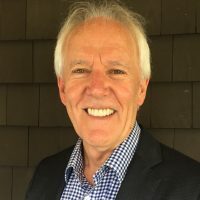 Hugh has consulted extensively with a wide variety of clients including the Irish Civil Service, the American Leadership Forum, the Episcopalian Clergy Leadership Program, the National Conservation Leadership Institute, and the Mohawk Community Leadership Program in Canada. He has also consulted in Bosnia, Croatia, and Cyprus and has addressed the United Nations Global Forum on Re-Inventing Government. He has worked with the government of Nepal on a negotiation and leadership development program, as a third-party member of an Armenian-Turkish Dialogue process, and on a leadership development program with a number of leaders from major political factions in Kashmir and Bahrain. Hugh earned an M.Ed and Ed.D from the Harvard Graduate School of Education. Harvard University Tim O'Brien, Lecturer in Public Policy, teaches Exercising Leadership: The Politics of Change and Developing People at Harvard’s Kennedy School of Government. He also chairs the Leadership for the 21st Century: Chaos, Conflict & Courage executive program. His research focuses on adult development, identity formation, experiential learning, clinical teaching methods, and leadership education. 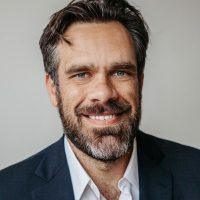 Tim has also taught leadership at INSEAD business school's Management Acceleration Program and served as faculty for the Harvard Graduate School of Education’s Programs in Professional Education. He trains and consults with Public, Private, NGO, and Non-Profit organizations to help leaders orchestrate systemic interventions and overcome powerful status quos that resist learning, innovation, and adaptation. Tim holds a B.S. from NYU and an Ed.M and Ed.D from the Harvard Graduate School of Education in Human Development and Education. He is a member of The Academy of Management and The A.K. Rice Institute for the Study of Social Systems. He earned his 100-ton captains license while directing sail-training programs aboard traditionally-rigged wooden schooners in the Atlantic and Caribbean. Scherer Leadership Center Dr. John J. Scherer, Co-Director of SLI, is a respected international speaker, consultant and change facilitator with many of the world’s best-known organizations and their leaders, including Boeing, Ford, GTE, Microsoft, The Government of Canada, Siemens, ALIOR, DHL, Netia, PLAY, Tchibo and many others. Leaders and change facilitators from 28 countries have graduated from his Executive/Leadership Development Intensives (EDI/LDI). Honored by Stephen Covey’s Executive Excellence magazine as one of America’s Top 100 Thought Leaders in Personal/Leadership Development, and recipient of the 2015 Lifetime Achievement Award from the International Organization Development Network. 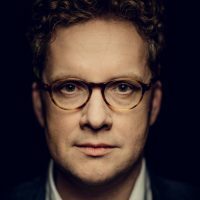 John is the creator of hundreds of print articles and online media, and is author of Work and the Human Spirit (1993), Five Questions that Change Everything (2008) and the recent Polish version, Wiser at Work: Five Questions that Change the Way You Lead (2012). Readers from around the world receive his newsletter, The Scherer Report and subscribe to his WiserAtWork.com: Online development for Leaders of Change™ to have access to his body of work. With SLI Co-Director, Amy Barnes, they bring newness to life. One of today’s most sought-after experts in leadership and change, he is best known for his ability to connect with people quickly and for bringing about profound individual and system-wide transformations, resulting in the unleashing of the human spirit at work. Since 2008 John has been living and working in Central/Eastern Europe from a base in Poland. The father of four ‘amazing young people’, he swims, runs, does yoga, still performs the occasional magic show, and loves a good spy story. Scherer Leadership Center Kathrin Fox works as Leadership Coach, Systemic Mediator and Culture Change Consultant across a broad range of industries. Kathrin’s journey evolves around inner exploration and outer expression. With a professional background in international project management, change management, education & the performing arts, she challenges and inspires clients to evolve to the next level. Blending personal growth, timeless wisdom and modern science, she is a visionary when it comes to awakening leadership from within and creating new concepts for a business that combines practicality with heart and intellect. Kathrin is certified as a Coach & Consultant for Organizational Development (IPOM, Munich) and as Systemic Mediator & Conflict Resolution Specialist. She is also a skilled facilitator with professional development in Psychology, Mindfulness, Integral Theory, Leadership Development and Conflict Transformation; working with leaders across the globe to enable their transformation from the inside-out. Kathrin has a BA in Education from the University in Innsbruck, a BA in Nonprofit- & Health Care Management from MCI Innsbruck and is also studying for an MSc. in Professional Development and Transpersonal Psychology at Middlesex University in London. Born and raised in Germany, Kathrin now lives near Salzburg, Austria, surrounded by mountains and lakes. Whenever she feels that life is getting too busy, she retreats into silence and meditation. She also enjoys reading poetry, listening to classical music and dancing in the morning to greet the new day. Since 1973 Mike Murray has helped managers, corporate executives, government officials and others work more productively and synergistically. 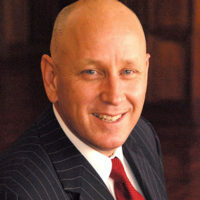 As owner of his own consulting business and as a featured speaker for a major seminar company, Mike has trained more than 350,000 seminar participants in areas such as change management, conflict resolution, strategic planning, customer service, creative problem solving and team building. Murray combines his unique insight and his understanding of people and how they interact to solve tough problems and to enable leaders to more effectively manage their organizations. He uses a wide variety of teaching and learning processes to enable workshop participants to equip themselves with skills and strategies for successfully accomplishing their mission. Murray has delivered more than 500 programs for Vistage (the largest CEO organization in the world) and has worked in all 50 of the United States as well as in Canada, Indonesia, Malaysia, Thailand, Argentina, Brazil, Mexico, Puerto Rico, England, Belgium, France, Holland, Germany, Hong Kong and Singapore. He delivers programs for the University of Texas Software Quality Institute and is on the faculty of The Leader Academy, based in Antwerp, Belgium. He is certified by LIFO Associates and Synectics Incorporated. He has written articles for The Bankers Magazine, The Oil and Gas Journal, The Journal of Religion and Applied Behavioral Sciences, Data Training Magazine, and Texas Realtors Magazine. He earned his B.A. in English from Austin College and his Master of Divinity from Austin Presbyterian Theological Seminary. Presencing Institute Martin Kalungu-Banda works with business, government and civil society leaders globally. He advises the Tony Blair Africa Governance Initiative as thinking partner to Chiefs of Staff and Heads of State, including as Special Consultant to the President of Zambia. 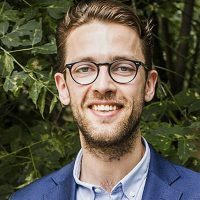 He is a faculty member of the University of Cambridge Institute for Sustainability Leadership, the Presencing Institute and the HSBC Next Generation Development as well as HRH Duke of Edinburgh’s Commonwealth Study Conference for Leaders. Martin authored Leading Like Madiba: Leadership Lessons from Nelson Mandela (2006), It’s How We End That Matters: Leadership Lessons from an African President (2009), and Driftology: How to Access Life’s Greatest Opportunities by flying on the wings of others (2015). He is qualified in OD and Coaching; and in Public Affairs, Philosophy, Development Studies and Anthropology. He currently lives near Oxford, UK. He has led collaborative innovation on diverse issues: Heart surgery costs (India & UK); Sustainable cities (London & Shanghai); Water shortage (Middle East & UK); Carbon emissions (UK & India); and the Coral Triangle tuna industry. 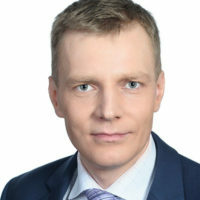 Managing Partner at Deloitte Poland Marek Metrycki took up the role of Managing Partner of Deloitte Poland in June 2008. Prior to this, he served as the Partner in Charge of Tax services since 2002. Marek has been with Deloitte for over 18 years. During this time, he advised many large Polish companies and multinational corporations. He used his comprehensive experience to support multiple clients across a wide range of industry sectors including energy, real estate, telecommunication, pharmaceuticals, consumer goods or publishing and advertising. He served them with expertise in legal and tax matters, restructuring projects, compliance issues as well as investments. 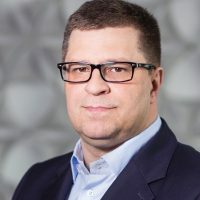 As Managing Partner of Deloitte Poland, Marek leads the organization towards the goal of becoming the undisputed leader in professional services. With this aim in mind, Deloitte Poland serves its clients with quality and distinction, offers great development opportunities for top talents, contributes to the society and sets the new professional standards delivering innovative ideas. The purpose of all Deloitte employees is to introduce positive change and make an impact that matters. Marek is a member of the Board of Directors of the Polish Confederation of Private Employers, and the board member of the Association of Consulting Employers within the Confederation. He graduated with distinction from the Warsaw University Law School, and is a legal expert and certified tax advisor. 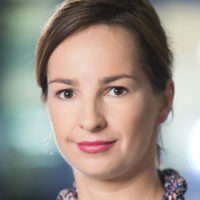 Country Director at Google Poland Agnieszka joined Google in 2008 and currently oversees the company's strategy and business in Poland as Country Director. Her main responsibility is to manage Google’s ads business across products and channels, and directly lead key customer, partner, and industry relationships. Before joining Google, Agnieszka built her career in Marketing in international corporations. Her experience in this field comes behind a variety of industries: from FMCG (Johnson&Johnson), through telecommunications (Deutsche Telekom), publishing (Gruner&Jahr) and entertainment (Disney). Agnieszka earned a master degree in Economics at the Warsaw School of Economics and completed post-graduate studies in Public Relations. She is a Supervisory Board Member of Millennium Bank and the Audit Committee member of the Marketing 4 Business Organization. She actively supports women in Technology by serving as a mentor and coach for future women leaders in the industry. 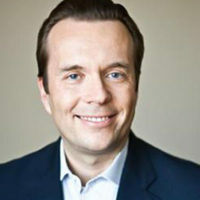 Member of the Board at Orange Poland Since January 2011 he is the Management Board Member in charge of Human Resources. Previously, since 2009 he was Executive Director in charge of Human Resources at Telekomunikacja Polska (now Orange Polska). He has been working at the company for over 10 years. He started his career in TP Group in 2001 as Manager of Human Resources in Sales & Marketing at PTK Centertel. From 2005 he was Director of Employee Competence and Development Management Branch. Prior to that he was Director of the Entrepreneurship and Human Resources School in Infor Training (Infor Media Group) and Director of the National In-Service Teachers Training Center, responsible for implementation of training programs supporting the development of education in Poland. He is a member of the Program Board of Polish Human Resources Management Association, PTE and a member of Human Explorers – informal group. 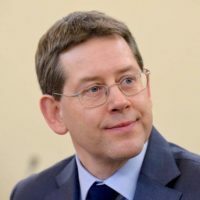 He is a graduate of the Faculty of History at the University of Warsaw and postgraduate studies for Local Government and Non-Governmental Organizations Management also at the University of Warsaw. Country Manager Poland at Mastercard Europe Bartosz Ciolkowski since January 2014 as General Manager Mastercard Poland is responsible for Mastercard Polish operation based in Warsaw. He joined Mastercard in 2005, where he was responsible for Credit Cards Business development in Central and Eastern Europe. Since 2009 was responsible for Mastercard Advisors business development in Poland, Ukraine, Hungary, Croatia and CIS countries. During his work in Mastercard Advisors he was involved in over 50 projects in Central and Eastern Europe from both issuing and acquiring businesses mostly with banks and retailers. Some of them were: retail and banking driven multimerchant programs development, loyalty program implementations, co-branding mostly in airline, petrol, retail and fashion industries, payments products profitability optimization, pre-paid and innovative products development. Since January 2013 as Head of Sales in Mastercard Warsaw office he was responsible for Mastercard business development with Banks in Poland. His former experience includes Pekao SA where he was Card Business Development Department Manager responsible for payment cards and acquiring products development. Prior to Pekao SA he was project manager in BZ WBK eBusiness area involved in EMV implementation and POS network acquiring business development. Bartosz Ciołkowski graduated from The Economic University in Poznan, Economy Faculty with specialization in economic policy and strategy. Chief Digital Officer at AmRest Adam Sawicki, big enthusiast of transformation technologies supporting human kind in its development, has over 20 years of international experience in TMT sector both in corporate and private equity environment. Having spent 12 years (1996-2008) in 5 countries with Scandinavian telecommunication group TeliaSonera starting as Junior Consultant and finishing as EVP, West Europe & North America, he moved to private equity sector leading as CEO (2008-2011) transformation of GTS Central Europe, into truly regional player. 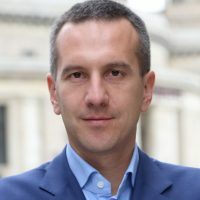 2012-2013 he was involved as Chairman of the Supervisory Board in acquisition & development of Nexto.pl for the retail chain RUCH S.A. After that he acted as President & CEO of Netia S.A. From 2015 until April 2017, he was leading 2 years-long transformation program as CEO of T-Mobile Polska. Currently he is active as angel investor both on individual basis and PE funds, in Poland and internationally (through US-based Exponential Partners). 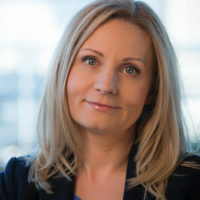 General Manager at Grayling Poland Klara Banaszewska is the General Manager of Grayling Poland, Polish branch of Grayling, a leading international communications consultancy with one of the strongest footprint in CEE region (part of Huntsworth Group). 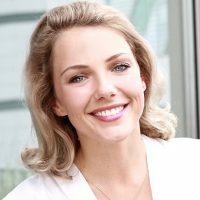 For the last several years, she has acted as top-level advisor to management boards and leaders of the most renown Polish and international corporations, offering tailor made strategies in the area of reputation management, including crisis communications and deal communication. Klara is also a Public Affairs expert, with experience in both local and EU-level Public Affairs projects. During the past few years, as Deputy General Manager and Public Affairs Director, Klara built a team of Public Affairs experts that is now servicing clients from multiple sectors: energy, financial services, industry, retail and technology. Taking reign at Grayling, she managed to create an agency with one of the most comprehensive offers including full spectrum of both Public Relations and Public Affairs services. 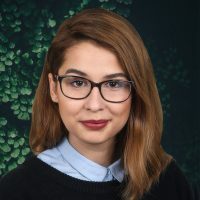 She is a political scientist from both passion and education, having obtained Master Degrees from the College of Europe in Natolin and a Master’s Degree from Political Science faculty of Strasbourg University. Partner at Taylor Wessing in Warsaw Przemysław Walasek is a Partner at TaylorWessing in Warsaw and Head of the IP and new technologies department. Together with his team he advises a significant number of blue chip and other key international trading organisations, particularly focusing on legal aspects of e-commerce, data protection, trademarks, copyright and media. He has extensive experience in advising clients re­garding all legal aspects of e-business including host providers, producers and distributors of computer games and on-line shops. He also supports clients with regards to IP protection strategies and helps them to enforce IP rights, both in Poland and in other CEE countries. His IP experience portfolio includes contentious and non contentious matters, such as trademark tax restructuring, licence & franchise agreements, as well as various IP litigations, with a clear leaning towards internet trademark infringements. He also advises in clearance risks, supports clients with regards to protection strategies and helps them to enforce IP rights, both in Poland and in other CEE countries. In addition, Przemysław has extensive experience in advising clients with regards to IT, E-business and new technologies, he also supports them in corporate matters. He took part in public consultations regarding the planned amendments to the Polish e-Commerce Act. Przemysław regularly gives lectures on IP law, e-commerce and new technologies at legal conferences. Przemysław has been an author of many articles for various specialist and economic media titles. 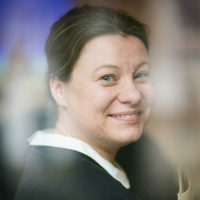 Country Director at Ashoka Poland Agata Stafiej-Bartosik is a Country Representative of Ashoka. Innovators for the Public in Poland. She has launched Foundation for Social Communication and SMart Kolektiv - non governmental organizations supporting NGOs in their use of marketing tools, which operate in Poland and in Serbia. She has also launched two social enterprises helping to connect business and NGOs aligned behind common social causes. She has worked as CSR Manager for Danone Poland and then joined PwC as sustainability and social responsibility advisor to biggest Polish and CEE companies. Agata is a sociologist - she graduated from Warsaw University and Universite Lumiere Lyon II in France. 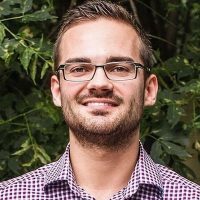 VP Business Development at NEUCA Group Tomasz Józefacki has been holding the CEO position at the Benefit Systems SA. His previous professional experience was at Agora SA where he held the Member of the Board’s position and was responsible for the Internet Segment of the company. Since 2014 he was the Department Director of “Gazeta Wyborcza”. In 1999-2004 he was engaged with The New York Times Company where he was responsible for marketing and promotion of NYTimes.com. In 2002 he became the Chief of Development and Strategy of Thematic Departments for Business and Technology of NYTimes.com. He graduated from Marketing and International Business at New York Times University Stern School of Business. At the same University he got an MBA degree. Forbes Poland Programing Director at Onet - RAS Polska Managing Director of Business & Finance segment of Onet – RAS Poland Group (since March 1st 2016). Business Consultant (Aug. 2013 – Feb. 2016). 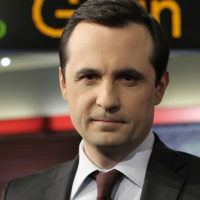 Creator, Head of News and Managing Director of franchise TV business news channel TVN CNBC (2007 – 2013). Head of Business Desk of the first TV News Channel in Poland, TVN24 (2001 – 2007). Award winning journalist (incl. Kisiel, Fikus and Grand Press awards in 2006). Alumnus of IESE Business School (Warsaw AMP 2009) and Warsaw University (MSc Political Science). Multiple TV formats author, including Firma (TVN24 2003 – 2009).